For most MBA aspirants, the MBA degree is the most assured way to increase their salary while simultaneously being considered for further promotions in organizations. However, technical expertise is a niche that not everybody is comfortable with. The vast majority of engineers consider taking engineering as their undergraduate course because it offered them a sense of financial security in the form of a (mostly) white collar job for some cloud provider. It is no surprise then that they view an MBA degree as little more than a platform to increase their market value. Many engineers fail to realize that the distinguishing feature between them and other future MBA graduates is their Engineering degree when deciding what to go to college for. Proficiency in engineering is a huge advantage for those who wish to lead core manufacturing/production factories. It is the engineering knowledge that will help the MBA grad to clearly establish timelines, understand resource requirements and implement the technology associated with his or her industry. Furthermore, the engineering degree will help them recruit people with the technical know how. Even for those who have no interest in leading core manufacturing industries, the MBA degree is an opportunity to do more than just get certified for a higher salary level and responsibilities. It is an opportunity to connect with future industry leaders, to be groomed by wise mentors who are on the lookout for such ambitious individuals and to learn about the needs and requirements that society is willing to pay for. If you want to know what to go to college for, engineering and business are both lucrative career options, especially for forming great network connections. So Why Do We Limit Ourselves? Partly because a lot of the advice we have been receiving comes from a generation that was taught to seek stability and safety. Risks, instead of being associated with rewards, are associated with failures. And, we are taught never to fail. This attitude that makes people afraid of failure is our biggest stumbling block in terms of management and entrepreneurship. Another important factor that causes us to be slow on the uptake of new possibilities is our attitude towards family. It is considered imperative on the adults in a family to leave behind as vast and rich a legacy as possible. So, instead of taking risks when there are sufficient resources to grow, the mentality is to keep safe in event of disasters. This is compounded by preventing people from pursuing or being associated with certain jobs that they consider beneath them. What Should MBA Engineering Candidates Do? Try to relearn your engineering degree subjects for the sake of knowledge and not for the degree. Factor in the expertise and the network of the professors of the Institute you are considering applying to. Understand that degrees are not responsible for making better managers or ultracapacitor operators. Focus on improving your soft skills. By having the total package, MBA admissions will see that you are well rounded and eager to develop yourself. If you are considering a MBA engineering degree, you should definitely consider a dual degree program to experience additional workplace benefits. 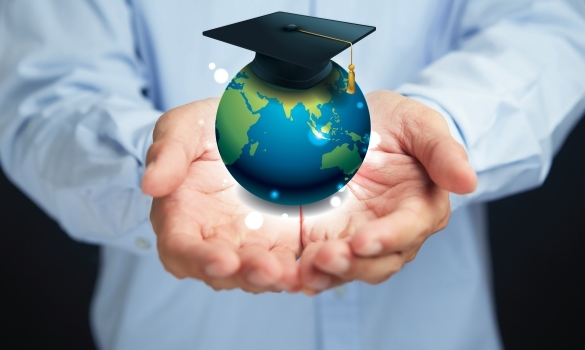 There are many schools that offer MBA and MSE combined degree programs. In addition, you can consider an MEM degree, if you are not certain of your business sense capabilities. If you are prepared to earn a graduate degree in engineering, you should definitely look into dual MBA MSE degree programs to further your education and simultaneously provide yourself as many job opportunities post grad as possible. The first thing you need to do to decide whether or not to pursue an MBA in engineering is to look at the current job market. The existing job market performance is going to be one of the deciding factors of whether or not an MBA engineering degree is going to be worth the time and effort. Too many engineers pursue an MBA when they are unable to find employment. It acts as a last resort for unemployed engineers. This is not a good reason to pursue an MBA, even if you want to become an accountant. It will not make you a more marketable engineer. In fact, it may even make you less marketable. Consider the current job market when you are making your decision. If the job market is good, pursuing an MBA after an engineering degree may actually be the best choice. Otherwise, it could be a mistake. Once you have taken the GMATs and prepared your credentials, its time to apply to the MBA-Engineering program of your choice. While applying, be proud of your background as it will make you distinguished candidate who has a lot to offer the program. Of course, apply to several top MBA schools to give yourself various options to choose from. This is why you should get an MBA, especially with having an Engineering degree.